The Essential Elements for Building a World! 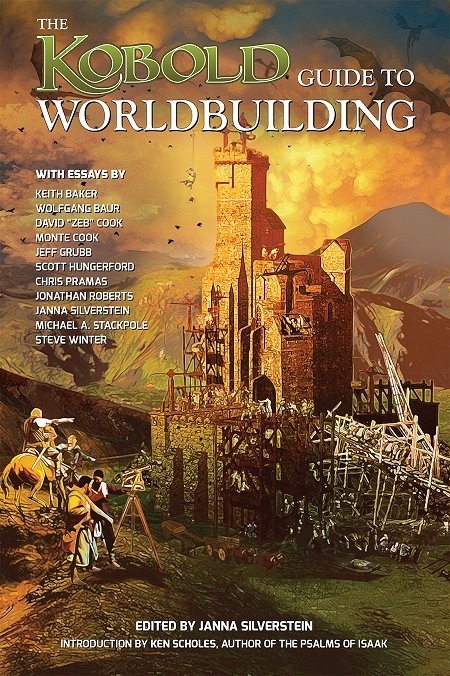 Roleplaying games and fantasy fiction are filled with rich and fascinating worlds: the Forgotten Realms, Glorantha, Narnia, R�lyeh, Middle-Earth, Barsoom, and so many more. It took startling leaps of imagination as well as careful thought and planning to create places like these: places that readers and players want to come back to again and again. Now, eleven of adventure gaming�s top designers come together to share their insights into building worlds that gamers will never forget. Learn the secrets of designing a pantheon, creating a setting that provokes conflict, determining which historical details are necessary, and so much more. Even take that creative leap�and create dazzling worlds of your own! Essays by Wolfgang Baur, Keith Baker, Monte Cook, David "Zeb" Cook, Jeff Grubb, Scott Hungerford, Chris Pramas, Jonathan Roberts, Michael A. Stackpole, Steve Winter, with an introduction by Ken Scholes.